Blessing ceremony today. I am glad that James's character is smiley this time around. He cried buckets in game sanaeha and Nueng Dao Fah Diew. sampaguita, DaoRisa, Sakan94 and 2 others like this. I agree. Both lakorn were successful in their own ways. 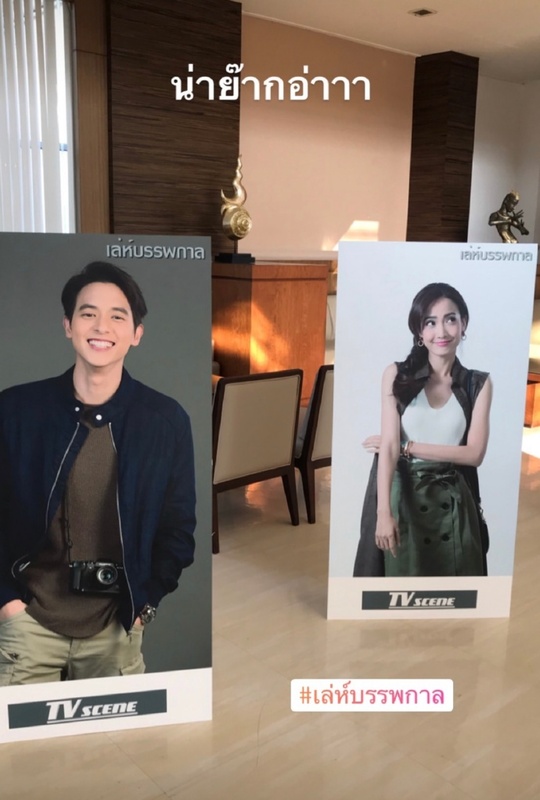 Their acting in GS really caught the general public's attention toward the end of the lakorn so that really helped boost Jitaew's popularity as an onscreen couple and GS in general. NDFD may have lacked all the cute and romantic moments/scenes that many of us enjoy watching, but I thought the amount of scenes they shared was a good amount and still squeal worthy. lol I'm excited to watch this lakorn. Hopefully we'll get a good amount of JiTaew screentime. sampaguita, Kay123, DaoRisa and 2 others like this. Yea I am glad about that to. They look so great!! I haven't had the chance to watch the whole thing yet. lakornkiki, roselovesice, DaoRisa and 3 others like this. Oh This is PlerngFah's style i imagine. They are both look cute. But Sitang looks more like student than teacher for me . Fitting photos are good. Most excited for modern setting but i want to get a glime of other timeline too. Katelyn, roselovesice, Xiongurl26 and 4 others like this. Check out our hot p'ek and n'ek. 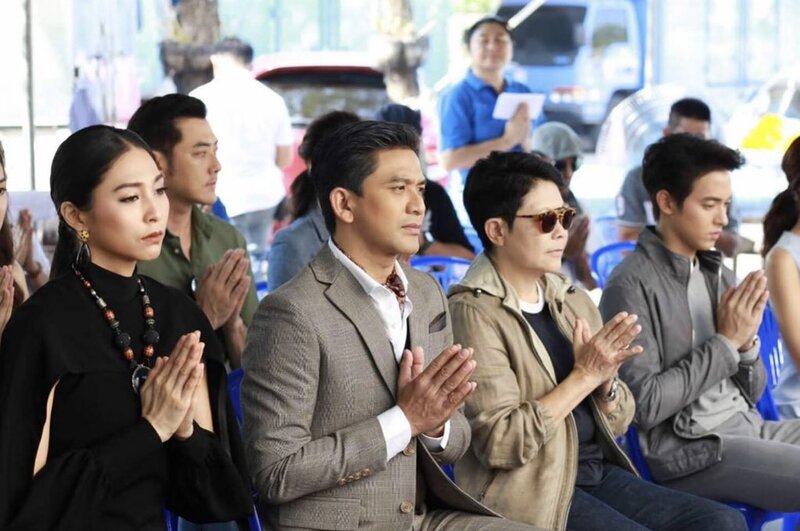 not sure if Poh Nattawut will be villain or will play a role like Aum Attichart (like a supra-praek character) in here. lakornkiki, Katelyn, onewlover4ever and 6 others like this. @Katelyn @Sakan94 @040156 thanks for the updates .. they looked so beautiful together. They way Taew is styled for this Lakorn reminds me of Numfon her character from Plerng Toranong. Love it .... can’t wait to see more pics and clips from today. Katelyn, orchidtea, DaoRisa and 1 other person like this. Thanks for the updates @Katelyn @Sakan94 @040156 . I can't understand why the P'ek has to be wearing a coat or jacket. It's so hot in Bangkok. There was a clip where James removed his jacket and his shirt was so wet at the back with sweat. Poor guy. I hope producers allow actors to dress according to climate. It's okay, we understand it's hot where they're at. If James is feeling so hot, I wonder how bad it is for Poh. He's in a 3 piece suit! Katelyn, Kay123, MKfan132 and 5 others like this. Thank so much for the updates @040156 @Katelyn @040156 and @Sakan94 What a beautiful blessing ceremony it is! :O They look so good! I really love their outfits. Its so chill and casual. I miss seeing them like this. Not business or historical outfits. lakornkiki, Katelyn, Kay123 and 1 other person like this. They are adorbs at the blessing ceremony. It's like they're already in character and the vibe is so different from GS. Can't wait to watch the adventures of Sitang and Plerngfah! Xiongurl26, Katelyn, Kay123 and 3 others like this. Anyone know for how long they will start filming after the blessing ceremony, I mean in general? Not sure because some blessing ceremony even happened after filming has started for a while. Like NDFD started in March 2017, worship ceremony was in May 2017. I think filming will start at the end of this month or early next month. Base on the interview today about Leh Bunpakarn, I'm now even more excited for this lakorn. Liking what i hear so far, hope they can deliver it. sampaguita, Katelyn, Kay123 and 2 others like this. Thank you for sharing the info my dear @Sakan94 . You can see my smiling face now. JT are "Totes Adorbs"
sampaguita and Kay123 like this. Ohhhh dang! They look so good together. I cant wait. Thank you for sharing sl the lovely photos. lakornkiki, sampaguita, Katelyn and 1 other person like this. lakornkiki, roselovesice, Xiongurl26 and 6 others like this. sampaguita, onewlover4ever and DaoRisa like this. lakornkiki, roselovesice, Xiongurl26 and 5 others like this. Katelyn, sampaguita, onewlover4ever and 1 other person like this.